Toolchain information is listed in the dialog Help — About. Send this information when contacting Keil Technical Support. The button Copy Info stores the information to the clipboard. create a source file with the menu File - New. This opens an empty file in the editor window. paste the data with the menu Edit - Paste, or by pressing Ctrl+V. 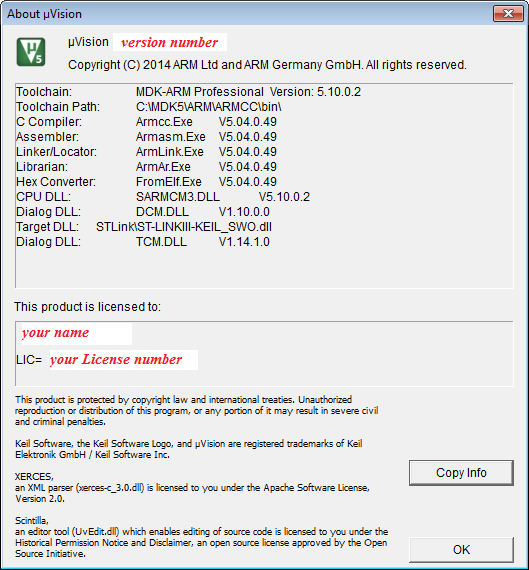 Copyright (C) 2014 ARM Ltd and ARM Germany GmbH. All rights reserved.